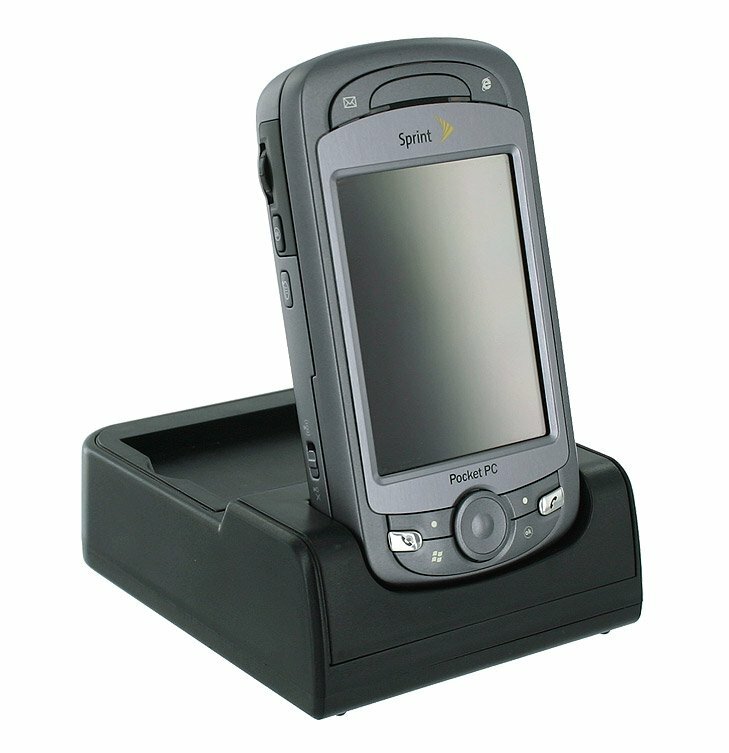 It is sadly a common trend where a WM phone does not come with a cradle in the box. This holds true with the PPC-6800 as well. We then are left with just a plug or USB cable, and trying to find a safe place to place the WM phone while it is charging. This also means that many of us enter the third party after market looking for a cradle to put on a desk or nightstand. The challenge with this is discovering which one works good, and especially, which ones do not without having to buy each one to find out. 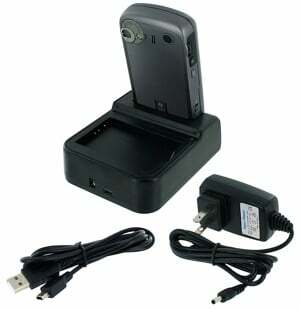 I think I can help you a little with this as I tested the Mobi Products Cradle that will also charge a spare battery. The quality of the build is what you would expect from an inexpensive cradle. It is solid enough overall. I really like the idea of being able to charge my spare batteries as well, which is a feature not easily found in most other PPC-6800 cradles. The Mobi Products cradle is molded nicely for a snug fit with the PPC-6800. The only challenge I found myself facing, is the angle of the mini USB you plug the phone into. It is at a slightly backwards angle so the phone can lean back a little for better viewing when in the charger. But it is sometimes hard to angle the phone just right to put the phone on the cradle or to remove it. It will probably come with some practice, but even though there are no signs yet, I am concerned of breaking the mini USB. It comes with both a USB cable and wall charger so you can use your laptop or an outlet to charge both the phone and the spare battery. It certainly does everything it claims. It is really nice to always have all of my spare batteries charged without having to swap them in and and out of the phone to charge them. You can charge both the phone and the battery with either the USB or the wall charger, which makes it nice if you want to take it on a trip with you. Overall, I am pleased with the cradle and enjoy not having to always find a safe place to rest it, hoping someone does not snag the cable and send it flying across the room. Does not work with extended battery or hard case on the phone.